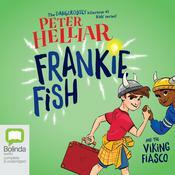 Best friends Frankie and Drew are desperate to win this year’s Halloween costume parade, and they know exactly what will give them the edge: authentic Viking costumes from olden-day Norway! The plan is simple: use their secret Sonic Suitcase to get in, get helmets, and get out. 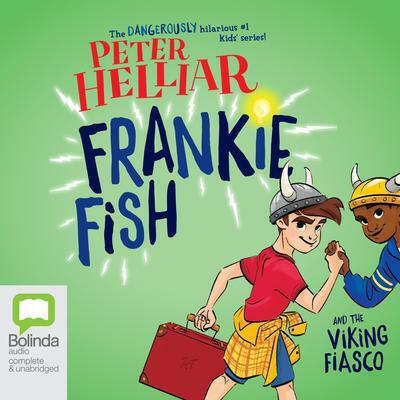 But they weren’t counting on accidentally bringing back a Viking called Birger with them – plus his angry brother Brynjar, who really has it in for Frankie and Drew. Can the boys round up the vikings, get them back home and win the costume parade before anyone discovers what they’ve done? 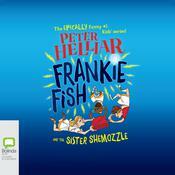 From Australia’s favourite comedian Peter Helliar comes the third adventure in his hilarious and bestselling Frankie Fish series! 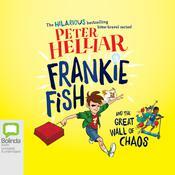 Peter Helliar is an Australian comedian, presenter, and bestselling children’s author. He lives in Melbourne with his wife and three kids, and currently co-hosts the award-winning news and current‑affairs program The Project on Network Ten.